If you have a barbecue person to buy a gift for or if you want a unique barbecue warming present, then visit Heinz online. 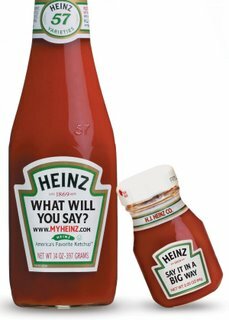 You can customize a bottle of ketchup or mustard in the mini or full size and surprise someone special. This is a new program that kicked off two days ago. Right now, you can get free shipping on your order if you spread the word. Check details on the page about that. Be sure to read the fine print. They can't put star names or ball teams on bottles or the name of restaurants. I'm sure that's all legal stuff. Also, they're not going to put anything really naughty on the bottle. Hey, it's a family company. There are other places to go get something racy. I thought this was a cute idea. 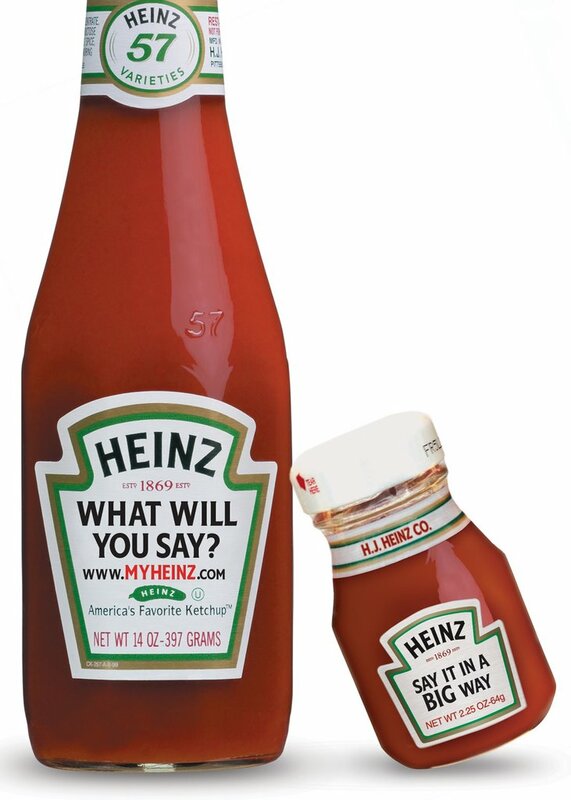 If you have a big ketchup fan in the family, brighten his or her day with a bottle that says something personal.